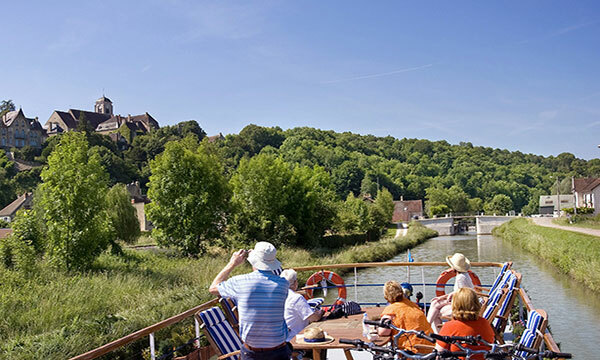 Champagne’s inland waterways provide an untouched and rustic cruise route, with many of the area’s celebrated vineyards lining the shores of rolling hills and verdant landscapes. It is here that the Hirondelle gently plies the preserved canals and petite rivers of this culturally vibrant cruise region. Abundant natural beauty and a celebratory ambiance sets the tone for the Hirondelle’s atmosphere of contemporary style and welcoming luxury. Soothing décor in shades of dusty blue and muted gold complement the verdant valleys and grand vistas of the greenery and scenery. Cabins are bright and airy, with oak paneling and ample storage space. Guests relax and socialize in the spacious, light-filled lounge, or enjoy a glass of locally produced bubbly while lingering on the splendid teak deck. Served by the attentive crew, the gourmet cuisine focuses on seasonal produce and local specialties.Gourmands and gastronomes will certainly savor the refined French fare perfectly paired with boutique champagnes, sparkling wines, and regionally sourced spirits. Excursions introduce guests to the growers, producers, and experts of Champagne’s signature drink, augmented by private samplings in established tasting rooms and emerging private cellars. The region’s historical treasures and cultural touchstones are also on vivid offer; a visit to the Reims Cathedral reveals where generations of French aristocracy were crowned, and moving memorials speak to the military might of World War 1. In the afternoon, you will be met by a crew member of Hirondelle at the designated meeting point. 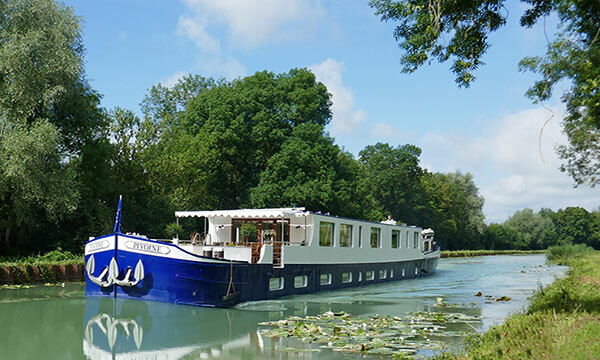 From here, relax as you are chauffeured to the barge moored in Chateau Thierry. A traditional champagne welcome and introduction to the crew awaits you, before your first of many gourmet dinners onboard. The adventure begins this morning with a leisurely cruise. Relax on deck with a freshly brewed cup of coffee and watch the scenery slipping by. This afternoon, your Tour Guide escorts you to Belleau Wood, scene of the second battle of the Marne in spring 1918, which ended the last German offensive of WWI. 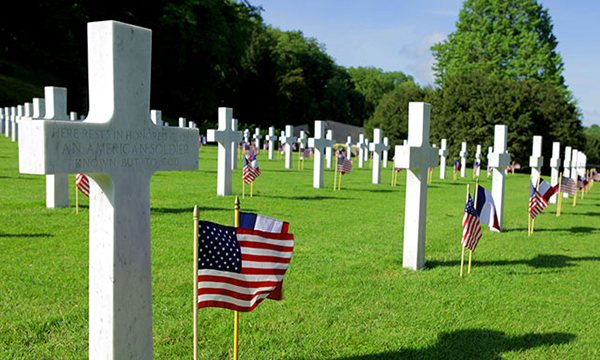 Continue to the peaceful Aisne-Marne American Cemetery, where the Memorial Chapel is built over the site of front-line battle trenches. Return to the Hirondelle and socialize over cocktails and canapes. Chef presents dinner onboard. Begin the day with a morning cruise through the glorious Champagne countryside. Relax on deck, and admire the scenery slipping by. 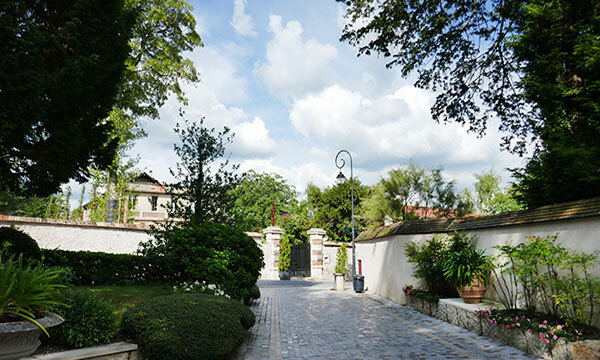 This afternoon, meet the growers at a family-run house, Champagne J de Telmont, where an exclusive immersion into the rarefied world of sparkling wine awaits, including a private tour and special sampling. Your Tour Guide then accompanies you to the abbey of Hautvillers where the tomb of Dom Perginon lies. Return to the barge for cocktail hour. Dinner is served onboard. A morning visit to Epernay, known as the jewel of Champagne, reveals an attractive and affluent town; the elegant boulevards of the Avenue de Champagne encourage strolling and shopping. Then tour the cellars at the champagne house Moet & Chandon, arguably the most famous of France’s producers, and enjoy a private tasting. return to the Hirondelle for an afternoon cruise. Tonight's dinner is enjoyed ashore at the celebrated bistro La Briqueterie. Bon appetit! Bonjour, it's time for bubbles after breakfast! A morning tasting of champagne starts the day's adventures. This afternoon, your Tour Guide escorts you through Reims for a tour of the Cathedral with Chagall’s famous stained glass windows. Here is where the Kings and Queens of France were crowned! Art lovers will enjoy the Musee des Beaux Arts, while shoppers can browse the souvenir stores and local boutiques in the charming pedestrian area. Back onboard, Chef presents tonight's delicious dinner. Cheers to a morning champagne tasting at a family-run house! This afternoon, your Tour Guide accompanies you to discover the charm of Chalons-en-Champagne. The Saint-Etienne cathedral of Gothic architecture is adorned with beautiful ancient stained glass windows; wander with wonder through the three public parklands, including a lovely French-style formal garden. Return to the Hirondelle and freshen up for cocktail hour as Chef puts the final touches on tonight's sumptuous Farewell Feast. In the afternoon, you will be met by a crew member of the Hirondelle at the designated meeting point. From here, relax as you are chauffeured to the barge. A traditional champagne welcome and introduction to the crew awaits you, before your first of many gourmet dinners onboard. During this morning’s cruise, lounge on the deck with a good book and cup of coffee, or visit the Captain in his wheelhouse. An afternoon visit to Epernay, known as the jewel of Champagne, reveals an attractive and affluent town; the elegant boulevards of the Avenue de Champagne encourage strolling and shopping. 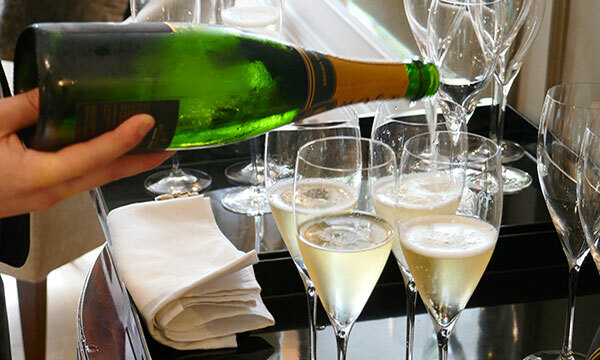 Then tour and taste in the cellars of Moet & Chandon, arguably the most famous of France’s major producers. Return to the Hirondelle and freshen up for dinner ashore at the celebrated bistro La Briquette. Begin the day with a morning cruise through the glorious Champagne countryside. Relax on deck with a cup of freshly brewed coffee and admire the scenery slipping by. This afternoon, meet the growers at a family-run house, Champagne J de Telmont, where an exclusive immersion into the world of sparkling wine awaits, including a private tour and tasting. Your Tour Guide then accompanies you to the Abbey of Hautvillers where the tomb of Dom Perignon lies. Return to the barge for cocktail hour. Dinner is served onboard. Explore the region's flora and fauna along the towpath by bicycle or on foot this morning's cruise. This afternoon, your Tour Guide accompanies you to discover the charm of Chalons en Champagne. The Saint-Etienne cathedral of Gothic architecture is adorned with beautiful ancient stained glass windows; wander through the three public parklands, including a lovely French-style formal garden. Return to the Hirondelle for cocktails and canapes as Chef puts the final touches on tonight's delicious dinner. This morning, your Tour Guide introduces La Main de Massignes, a series of preserved battlefield trenches from World War I. Buried and forgotten after the war, this labyrinth of passageways that had once been created by French and German soldiers is a fascinating example of European military history. Having been recently discovered, it is undergoing restoration by local volunteers. After luncheon ashore, an afternoon cruise provides the perfect opportunity to explore the towpath with a gentle pedal or leisurely stroll. Drinks and dinner are served onboard. This morning, your Tour Guide escorts you through Reims for a tour of the Cathedral with Chagall’s famous stained glass windows. Here is where the Kings and Queens of France were crowned! Art lovers will enjoy the Musee des Beaux Arts, while shoppers can browse the souvenir stores and local boutiques in the charming pedestrian area. Return to the barge for a leisurely afternoon cruise. Socialize in the salon with aperitifs and appetizers as Chef puts the finishing touches on a gala Farewell Feast.